Vivek Ranadive compared his new guard, Buddy Hield, to Steph Curry, except the stats say they are not at all alike. The Sacramento Kings made one of the worst NBA trades in recent memory Sunday night when they shipped star big man DeMarcus Cousins to the New Orleans Pelicans in return for a likely non-lottery first round pick, a second-round pick, Tyreke Evans and Buddy Hield. Almost anyone who vaguely follows the NBA thinks it’s unfathomable that the Kings could have considered this deal. Kings general manager Vlade Divac even said that they could have gotten a better deal two days ago. But now we know why the team was targeting a deal with the Pelicans in particular: Kings owner Vivek Ranadive thinks Hield is going to be the next Steph Curry. Really. That’s quite the opinion! It turns out that it’s also based on very false data. The obvious falsehood is that Hield isn’t “big like Klay.” He’s a full three inches shorter than Klay Thompson. Also, by doing even basic research on just their rookie seasons, Vivek could have learned that Hield is nothing like Curry. Hield is actually worse at literally every shooting metric, and he doesn’t even get a lot of assists. The Kings’ deal was bad, but their justification is even worse. If Hield had shown Curry-like potential, then maybe it could have been defended. 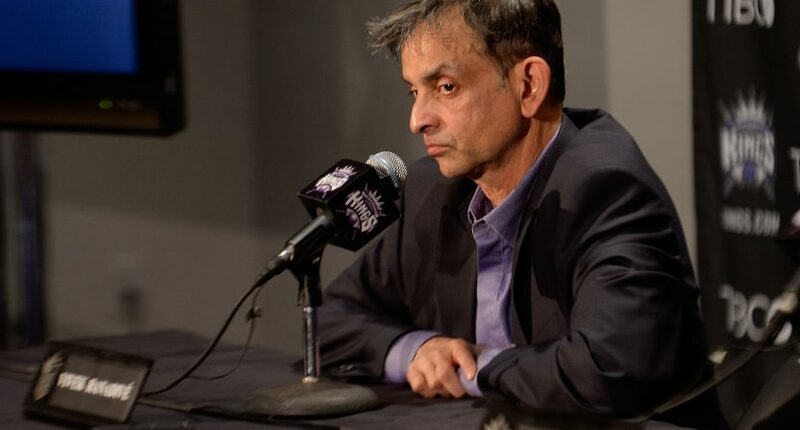 The problem is, any Curry-Hield comparison is a figment of Vivek’s imagination.